As part of our dual mission to conserve and educate, we offer a multitude of wonderful children’s programs for kids of all ages. Our children’s programs introduce youngsters to nature with hands-on activities, exploration, and interaction with the natural world. Encourage your little one’s curiosity with nature and the outdoors. 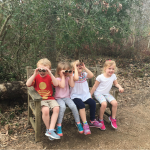 Children 18 months to 3 years, with their adult companions, can join naturalist Laurie Hudson for a nature story reading and stroller-friendly hike on the Arboretum trails. Enjoy a new nature experience each week! 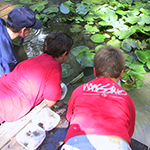 Tadpole Troopers is a nature class for parents and children to share together. 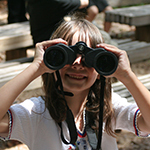 Classes are targeted for children ages 3 to 5 that offer opportunities for natural science investigations, crafts, and a guided walk with a naturalist. All classes begin with an engaging introductory lesson inside a classroom followed by a walk outside. Parents are required to stay for the duration of class with their child. Siblings are not permitted unless they are registered for the class. Science Sprouts is an exciting new series for curious kids that love nature and science. 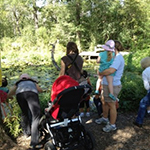 Classes will include a short lesson on the topic of the day followed by a nature walk on the trails of the Arboretum. Each class will have a fun mixture of games, live animals, biofacts, crafts, story time, or music. Parents are welcome to participate with their child, or drop them off. 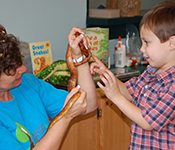 Naturalist Explorers introduces children ages 5 to 8 to environmental and natural history topics in a fun and enthusiastic atmosphere. Classes include a short introduction inside followed by hands‐on, engaging activities outside. Parents are welcome to participate with their child, or drop them off. Our home school classes are offered on Mondays from 1:00-3:00 pm for students ages 5-12. A different three-week science unit is taught each month, with each class consisting of instructional time, hands-on activities, and guided nature walks. Handouts for parents with extension ideas and projects are provided for follow up at home.